We want to prepare your Will so you pick who inherits your property after your death, not the State of Arizona. If you don’t have a Will your state of residence has its plan for who will inherit your property and its may be different from who you want to inherit your property. To learn more about this important topic read our article called “Who Inherits Assets of an Arizona Resident Who Dies without a Will?” The custom estate plan we will prepare for you insures that your estate will go to the loved ones that you select rather than to family members you might otherwise disinherit. We offer two estate plans, the Gold Plan that does not have a trust and the Platinum Plan that has a trust. The Gold Plan is $1,247 for a single person or $1,497 for a couple. The Platinum Plan is $2,997 for a single person and $3,497 for a couple. 1. Initial conference free no obligation conference with Arizona estate planning attorney Richard C. Keyt or his father Richard Keyt to answer your questions about Wills, Trusts and estate planning and design an estate plan customized to accomplish your specific goals. 2. Unlimited phone calls or office conferences with Arizona estate planning attorneys Richard Keyt or Richard C. Keyt to answer questions about your estate planning documents and make any desired changes before you sign your estate plan documents. 3. Signing conference in our office with two witnesses and a notary. 4. Last Will and Testament: This is the document in which you name the people or charities that will inherit your assets after your death. Without a Will or a Trust, the laws of your state of residency at the time of your death rather than you will determine who inherits your property. You need a Will so you can be sure your assets go to your desired heirs, not the your heirs selected by your state of residency. If you have minor children then you also need a Will because you name one or more people in the Will who you want to be the guardian(s) of your minor children if something happens to you. 5. Living Will: Another problem experienced by Terry Schaivo’s family occurred when her ex-husband wanted the doctors to turn off the machines that were keeping her alive years after the accident that injured her brain. Terry’s parents did not want the doctors to terminate life support. that authorizes a doctor to pull the plug if you are being kept alive by a machine. Terry Schaivo is a perfect example of why everybody needs a Healthcare Power of Attorney and a Living Will. Terry did not have either document and her family paid the price emotionally and with money that could have been better spent on something other than lawyers. Wikipedia says “In all, the Schiavo case involved 14 appeals and numerous motions, petitions, and hearings in the Florida courts; five suits in federal district court; Florida legislation struck down by the Supreme Court of Florida; a subpoena by a congressional committee to qualify Schiavo for witness protection; federal legislation (the Palm Sunday Compromise); and four denials of certiorari from the Supreme Court of the United States.” Do your family a big favor and adopt both of these important estate plan documents so nobody has to burn money going to court to get an order dealing with your medical care or authoring the doctors to pull the plug. 6. Healthcare Power of Attorney: Everybody needs this document because it names people who you authorize to make decisions about your medical care if you cannot. If you need medical treatment, but are incapacitated and cannot communicate with the doctor, who will decide on your treatment? If the doctor wants to know should he or she perform the risky surgery and one family member says yes and another says no the doctor may require the family to go to court and spend thousands of dollars and waste precious time to get a court order that says operate or do not operate. This was a constant problem experienced by Terry Schaivo’s family. This key estate plan document can save your family thousands of dollars in attorneys fees and court costs. If you have a Healthcare Power of Attorney your doctor will follow the instructions of the person you name in the document. 7. HIPAA Authorization: This is a document that authorizes your healthcare providers to give information about your health and medical condition and treatment to the people you name as your healthcare decision makers in your Healthcare Power of Attorney. 8. Financial Power of Attorney: This document authorizes one or more people you select to handle your financial affairs if you are incapacitated. If you are in a coma, incapacitated or suffer mental impairment who will manage your financial affairs? If you have not signed a Financial Power of Attorney your family will have to spend thousands of dollars to get a court order that appoints somebody as your conservator with the legal right and power to act on your behalf with respect to your financial affairs. If you become incapacitated without this document nobody will be able to write checks on your bank account and pay your mortgage or bills without spending thousands of dollars to hire a lawyer to get a court order appointing a conservator. 9. Personal Property Memorandum: This is a document that is incorporated in your Will that contains your asset distribution plan. The Personal Property Memorandum allows you to make gifts of certain tangible personal property without modifying your Will or seeing an attorney. For example, your Will might say that if you die you give everything to your spouse or children, but you could alter that plan by completing and signing a Personal Property Memorandum. You could complete, date and sign the PPM and indicate in the document that when you die you want to give your watch to your sibling and your piano to you friend. Gifts made in the PPM take precedence over our asset distribution plan in your Will. We give you this document in Adobe pdf format so you can revise the PPM whenever you want to change your gift plan. 10. Beneficiary Deed: This is a special deed that transfers your home to your trust on your death (if you are single) or on the death of the second spouse (for married couples). 11. Post Mortem Wishes: This is a 12 page document that you can use to plan your funeral or memorial service and tell your family how you want to be remembered. 12. List of Important Documents: Use this document to tell your family about the existence and location of your important documents, including life insurance information. 13. Pet Emergency Care Giver Notification card: Carry this card in your wallet or purse to inform people that you have a pet and the name and phone number of your emergency pet care giver. 14. Estate Planning Portfolio: We give you a high quality portfolio that contains all of your estate plan documents organized behind tabs. 15. PDF Copies of All Documents. We give you Adobe pdf copies of all your estate planning documents on a thumb drive so you can give copies of documents to your loved ones. 16. Revocable Living Trust: This is the foundation of your estate plan. It allows assets owned by the trust to avoid probate and contains your plan for who inherits your property and when they get it after your death. See the discussion of RLT’s that follows this list. This trust can provide life-time asset protection for your spouse and loved ones so that their inheritance cannot be touched by their creditors or by an ex-spouse if a child gets divorced or by a bankruptcy court if a surviving spouse or a child files for bankruptcy. 1. To provide for the management of their property if they become incapacitated. 3. To keep their financial affairs confidential (probate court documents are open to the public). 4. To provide for the disposition of their assets after death to their family and loved ones either: (i) outright, (ii) over a period of time or (iii) for the life of one or more beneficiaries. The latter choice is best for maximum asset protection for the beneficiary. 5. To protect the inherited assets from the heir’s creditors, ex-spouses and predators. A life-time beneficiary controlled asset protection trust is the best asset protection device a parent can create for children and grandchildren or that any person can create for loved ones. For example, if the Trust is properly drafted and assets are held in Trust and not distributed unnecessarily to a beneficiary, the beneficiary’s creditors (including a bankruptcy court) and predators (ex-spouses, con-men and con-women) can never get the assets. If you have children or loved ones that you want to protect and if they may inherit a lot of money or property, asset protection may be the most important reason to create an RLT. We do not charge any legal fees for any changes you want to make to your estate planning documents, including a trust, within the first three months after our signing conference. We give you a lot of paper, but we want you to be able to review everything you sign at your leisure so you can be sure everything is correct. If, within the first three months after signing your documents, you find a problem with your estate plan or want to change any document we prepare, let us know and we will revise the documents as necessary at no additional cost to you. If you have procrastinated up to now and do not have an estate plan and if you do not take the next step right now to make an appointment with Richard C. Keyt or Richard Keyt to design your estate plan, the sad reality is that you will most likely continue to procrastinate for many years to come and probably will die without protecting your family. That’s ok if you want the State of Arizona to decide who inherits your property and if you don’t care about the problems and expense your family may suffer if you die without an estate plan in place. Isn’t your family your most valuable asset? 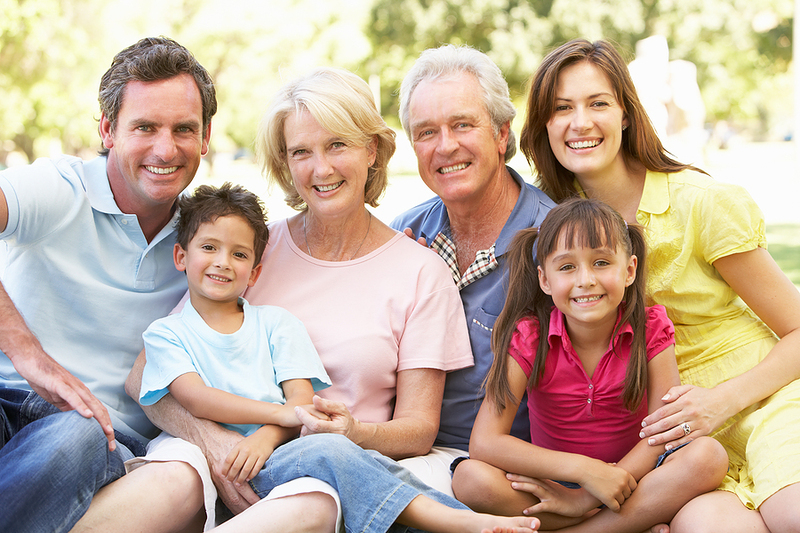 Don’t you want your family to have the protection that a good estate plan can provide? If the cost is preventing you from making an appointment, compare the cost of an estate plan against money you have spent on things for yourself such as a flat screen TV, furniture, swimming pool, computer system, hi-fi system, car or SUV, boat, country club membership, jewelry, art and other “toys” or expensive items. Don’t spend more on “stuff” than you do to protect your family if something happens to you. For all of the services listed above for our Platinum estate plan we charge $1,247 for a single person or $1,497 for a couple. For all of the services listed above for our Platinum estate plan we charge $2,997 for a single person or $3,497 for a couple. Schedule a free no obligation consultation with Arizona Wills & Trusts Attorneys Richard C. Keyt, JD, MS (accounting) or his father Richard Keyt, JD, LL.M (income tax) to answer your questions and design your estate plan. At the end of the consultation if you decide to hire us to prepare your comprehensive estate plan with a trust to provide asset protection for your loved ones we will ask you to sign our engagement letter. Call the Keyt’s estate planning legal assistant Michelle Watkins at 480-664-7413 to make an appointment for a free no obligation meeting with Richard C. Keyt or his father Richard Keyt to discuss wills, trusts and estate planning. The meeting usually lasts 1 – 1.5 hours. The meeting will be held at our office at 7373 E. Doubletree Ranch Road, Suite 165, Scottsdale, AZ 85258. Complete our Gold Estate Plan Questionnaire or our Platinum Estate Plan Questionnaire and give us the information we need to prepare your documents. You may have questions about the questions so we will answer your questions during our planning conference. If you have any questions about Arizona estate planning, the process, fees or anything else, call Richard C. Keyt at 480-664-7472 or his father Richard Keyt at 480-664-7478. There is no charge for inquiries about estate planning or estate planning documents.